Professional results come from professional-grade printers. The powerful Lexmark E342n laser printer provides will amaze you with fast print speeds and precise resolutions. At up to 30 ppm and 1200 x 1200 dpi resolutions, every document you print will be full of crisp text and sharp images. With its many upgrade options, the E342n printer delivers great versatility; perfect for any growing office. Add additional memory, paper capacity, even get wireless ethernet; they're all possible with the E342n. With easy-to-follow instructions, setup sheet and simple software installations, you will be up and running in no time. 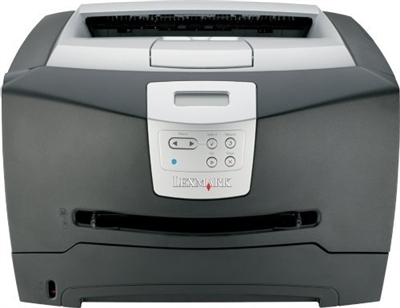 Get the results you deserve and put the Lexmark E342n to work for you.